What is the significance of meaning in Big History? There is a great diversity of opinion on this issue. For example, Eric Chaisson, one of the original board members of the IBHA, holds that Big History must let go of concepts such as intentionality, subjectivity, and, presumably, meaning, in order to understand evolution objectively. Conversely, the focus of my talk is that an understanding of meaning is necessary for an understanding of evolution at its most fundamental level. A central claim of my talk is that we have to understand that which is meaningful to organisms if ever we hope to comprehend the history of evolution on Earth. My talk thus offers a non-anthropocentric and aesthetic account of meaning in the context of geological history. Ecology from this view is an ongoing entanglement of meanings, concerns, and decisions, and it marks the space where the division between matter and meaning breaks down. To advance this claim, I draw on the works of Alfred North Whitehead (1861-1947) and Jacob von Uexküll (1864-1944). Specifically, Whitehead’s philosophy of organism and his critique of the bifurcation of nature into primary and secondary qualities provide important tools for thinking about the multicentric nature of ecosystems. Likewise, von Uexküll’s account of multispecies perspectives—or what he calls “umwelten”—remains a cornerstone of contemporary ethology, the study of animal minds and behaviors. By considering Whitehead and von Uexküll together this talk suggests that an ecological approach to philosophy complicates traditional distinctions between appearance and reality, between ontology and epistemology, and between the empirical and the transcendental, by placing each in the context of evolutionary process. The talk proceeds in three sections. In the first section, I explore the relationship between understanding and perception. A key element of von Uexküll’s ethology is that organisms do not merely receive sense data and respond automatically to stimuli, but that they instead construct and interpret their respective territories of experience. Considering the entanglement of organized understanding and bodily perception is thus essential to comprehending von Uexküll’s work. With this background in place, I then move to describe the implications of von Uexküll’s theory of meaning in biology. This theory suggests that what is meaningful to organisms is essential to understanding evolutionary process in general. Finally, section three places von Uexküll’s theory of meaning in dialogue with Whitehead’s philosophy. With von Uexküll and Whitehead I argue that the values, concerns, and decisions of organisms are not epiphenomenal features of evolutionary activity but are in part constitutive and driving forces within evolution itself. The paper concludes by suggesting that ecology can serve as a new ground for philosophy. Von Uexküll takes a broadly Kantian approach to his ethology. One implication of this approach is the way it complicates the distinction between conceptual understanding, often construed as a higher-order, cognitive or linguistic ability, and perceptual receptivity, often construed as a lower-order, somatic or bodily ability. In the same way that Kant recognized that humans do not just receive sensory information but also organize and shape it in a particular way, von Uexküll imparts an experience-shaping capacity to all living beings. For von Uexküll, the constructed world that appears to the organism is related to the organism’s mode of understanding, which in turn is related to the organism’s bodily capacities. For von Uexküll, then, the body is already a site of understanding. It is an organizing matrix that constellates experience in a species-specific way. This approach to embodied conceptuality brings us very close to philosopher of mind Alva Noë’s actionist account of cognition. Noë’s philosophy is important for understanding von Uexküll in two ways. First, Noë’s approach to conceptual understanding is neither limited to nor dependent upon linguistic ability. Instead Noë advances an approach that instantiates conceptual understanding at the level of bodily experience, and this helps make sensible von Uexküll’s claim that all organisms understand their experiential territories. Second, Noë’s account of understanding and perception links up with von Uexküll’s approach to multispecies ethology, which also takes an expanded Kantian form. Through Noë and von Uexküll we are able to see that the capacity for conceptual understanding—however limited such an understanding may be—is rooted in life itself, and this in turn allows for a fuller account of ecology that posits the categories of meaning, value, and significance as basic to ecological and evolutionary process. By linking conception to perception at the level of an organism’s body, Noë suggests that some forms of understanding do not require language to emerge. One form of non-linguistic understanding is sensorimotor understanding. Sensorimotor understanding refers to the skills through which we gain access to different elements within our physical environment as we move through it. Linguistic understanding and sensorimotor understanding are both instances of what Noë calls styles of access. Stated another way, for Noë thinking is a style of access to phenomena just as physical movement is, and both styles of access are related to types of worlds rendered present through their respective skillful means. Here knowing minds are not different in kind from moving bodies. Noë writes, “Thought is not prior to perception; nor is perception prior to thought” and that “Thought is not prior to experience; experience is itself a kind of thought.” Emphasizing the thought-like nature of perception and the perception-like nature of thought, Noë suggests that aesthetic experience is the paradigm case of all perceptual experience. Cycles of meaning are central to the valuations and decisions of organisms, and, through their encounters with such cycles, organisms evidence that conceptual understanding—marked by basic capacities to identify “friends,” “enemies,” “prey,” “mates,” “food,” or “shelter,” for example—is instantiated at a very basic level of biology. Indeed, according to Noë and von Uexküll, the cognitive and the living are identical categories. The organism is, from this view, the factor that generates space and time into a particular qualitative arrangement, and it is that which appears as a certain kind of meaning carrier within the appearance-world of another organism. The take away here is that there is a symbiosis playing out at the subject-meaning level, and this relation has important consequences for how we think about evolutionary process. To review, in Noë’s actionist and in von Uexküll’s ethological approach space, time, motion, and meaning are the variable forms of organismic intuition, an insight that calls forth the aesthetic nature of the ecological arena. Here we can see that Kant’s limitation was to focus too narrowly on the human being at the expense of all other species. Deepening Kant via Noë and von Uexküll, then, we can see that aesthetic formulations of meaning, value, and significance are causal and necessary factors in evolutionary process, and that any attempt to evacuate the enacted ecology of meaning that surrounds every organism undercuts the very mode by which evolution has transpired since the emergence of life on Earth. In other words, ecology is necessarily about transactions of meaning, translations of value, and transformations of significance, and it is in principle irreducible to mechanical description alone. By placing the qualitative sphere of meaning, value, and decision as simultaneous with—or even as the other side of—the quantitative sphere of number, extension, and motion, von Uexküll effectively overcomes what Whitehead calls the bifurcation of nature into primary and secondary qualities. We turn now to an explication of this aspect of Whitehead’s philosophy. Whitehead’s process philosophy has two primary aims. It aims first at overcoming the bifurcation of nature into the categories of phenomenal content and objective existence, and it does so without appeals to either certain forms of idealism, as for example Kant’s argument that primary and secondary qualities are both anchored by the structures of the transcendental ego; or certain forms of materialism, as for example in the approach taken by eliminativism, which views the contents of experience as epiphenomenal to the overall arc or structure of the real. Second, and perhaps more importantly, Whitehead’s philosophy aims at not just overcoming this bifurcation but also at generating an alternative schema within the context of evolutionary process. Both Whitehead and von Uexküll recognize that human existence is entangled within a larger ecology of experience and action. The question of access to reality is thus transformed to the extent that the knowing subject and the known world are placed within the same cosmic territory—we move from words and representations to actions and transformations, to one part of the cosmos articulating itself to another. However, while Whitehead is not strictly speaking a philosopher in the Kantian tradition, he is nevertheless indebted to certain Kantian habits of thought. (These habits that take us all the way back to Plato, in fact.) Namely, in Whitehead, as in von Uexküll, there is a distinction between the way reality is partially disclosed or rendered available and the reality that escapes availability to perception. If nature really is bifurcated, no living organism would be possible, since being an organism means being the sort of thing whose primary and secondary qualities—if they did exist—are endlessly blurred. Since we are organisms surrounded by many other organisms, nature has not bifurcated. What Whitehead suggests, then, is that appearances, decisions, and concerns play a constitutive role, over time, in the evolution of species. This is the “fusion” Whitehead refers to above: There can be no firm distinction between an organism’s quantitative characteristics and its qualitative mode of valuation. An organism’s body is, to a large extent, an inherited form shaped by the ecologies of appearance and concern it finds itself within. Its mode of valuation is both outcome and participant within the aesthetic community of interaction of which it is a member. Decisions, concerns, and values are enfolded into each organism and, sedimented over time and subjected to communal processes of evolutionary selection, become part of the diversification of species. Whitehead’s cosmology acknowledges that the conditions of possibility of human experience have their own conditions of existence set by the ecological conditions of reality. In Whitehead’s approach, the ground, to use a traditional philosophical term, is not a primordial layer that sits as a backdrop upon which events occur; rather, for Whitehead the ground is a shifting and co-implicative terrain of diverse and evolving beings, a collision of multiple trajectories, lured in different ways by different concerns and possibilities. In Whitehead’s view, space and time are not containers but are instead emergent features spun off from the adventures of entities themselves. Stated in other terms, the conditions of possibility for human experience and knowledge are not Kantian a priori categories of the mind alone, nor even a fixed layer of some special substance, instead the condition of possibility for human experience, or any other being’s experience, is a multispecies collective of other beings, both living and non-living. Through linking understanding to perception, by expanding the capacity for understanding to all organisms, and by rejecting the bifurcation of nature, we are now in a place to conclude this talk by briefly mentioning a few implications of this approach to ecology. To do so I consider a few traditional philosophical categories—including the distinction between appearance and reality, between ontology and epistemology, and between the empirical and the transcendental—in a new light informed by the ecological perspective. First, appearance and reality. Noë, von Uexküll, and Whitehead all deal in this distinction, albeit in slightly different ways. Noë deals in the phenomenological distinction between presence and absence. That which can be made present for Noë is related to the style or mode of access by which something can be made to appear. Similarly, von Uexküll follows the traditional Kantian distinction between appearing phenomena and inaccessible noumena, the latter of which serve as the cause for every appearance. We saw that Whitehead also plays in the language of appearance and reality, but also that he places this distinction in the context of evolutionary process. Each account thus opens out, in its own way, into an ecological zone that allows us to see that the distinction between what is present and what is absent cannot be fixed. Ecological philosophy means that, when we include evolutionary process, there is an ongoing breakdown between presence and absence, between appearance and reality. Second, ontology and epistemology. If we accept Noë’s and von Uexküll’s ecological argument that embodiment and understanding are intimately linked, then we also encounter another breakdown or complication between ontology, the study of what is, and epistemology, the study of how we come to know what is. For if knowing and bodies are to a significant degree the same thing, then we are obliged to say that what a being can know is also the same thing as what a being can be. However, this does not amount to a full collapse of ontology into epistemology, as in the Kantian gesture we saw Whitehead reject earlier, nor does it result in a collapse of epistemology into ontology, as we see in what is sometimes called the “new materialism.” Instead it means that ontology and epistemology are linked, recursively, within the concept of ethology. In other words, in order for a being to know otherwise it must also become otherwise. The concept of ethology thus allows us to accept that knowing and being are closely linked, but it also allows us to maintain what I see as a crucial division between what is known about the cosmos and what escapes translation into knowledge or experience. Third, the empirical and the transcendental. Von Uexküll’s ethology and Whitehead’s philosophy of organism give the lie to Kant’s transcendental schema. For Kant, the transcendental refers to those structures of the human being that are a priori or that are independent of experience and that work to organize the in-flow of all empirical events. The transcendental in Kant’s formulation is a universal structure within which particular empirical occasions are shaped and unfold as contents of lived experience. However, from the ecological view, it is the transcendental structures themselves, or more precisely what Kant called the transcendental ego, that must be given a genetic account in terms of a more primary and ecological cosmogenesis. If ecology is to become a new ground for philosophy, then the transcendental and the empirical need to be re-thought as relational and evolving categories: What is transcendental structure for one organism is empirical datum for another, and what is given as a structure that affords certain appearances is neither fixed nor universal; it is rather developed, multispecies, and plastic. In other words, if lived experience is grounded in a certain kind of cognitive structure that allows empirical content to emerge in a certain way, then it is also the case that the structure of the transcendental is itself grounded in an external ecology of actuality and circumstance. Thus if we can speak of an upwelling of a stream of consciousness within the empty, form-giving space of the mind, then we can also speaking of an inwelling stream of external activity, that, over historical and evolutionary time periods, gives shape to the organizing structure itself. In the view of a philosophical ecology, then, the transcendental is not an empty, universal space within which phenomena can emerge in a particular way but is instead a historically saturated medium, a medium filled with the tributaries of achieved conceptual understanding along which flows of thought constellate themselves as partial organizers of experience and which allow the growth of new kinds of experience. 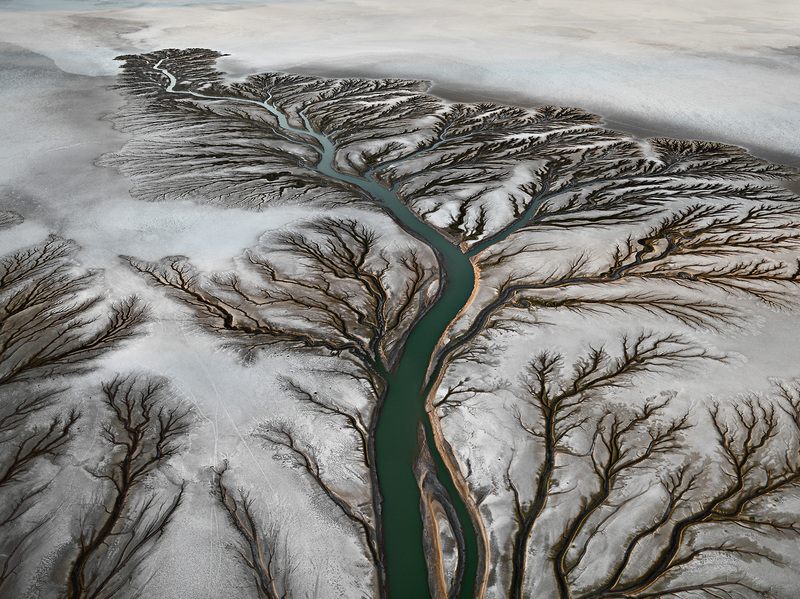 Mind is just such an intersection of rivers and tributaries; not a dialogic of easily opposed terms (e.g., “empirical” and “transcendental”) but an ecologic, a creative multiplicity of convergent events preserved over time. Along the lines of grounding the empirical and the transcendental within a larger ecology of being, Peter Sloterdijk writes of, “the one earth, which serves as the bearer of world formations,” and that the “[earth] is now the transcendental star that comes into play as the locational condition for all self-reflections,” a star that “carries flora, fauna, and cultures” and that is, “the exemplary hybrid in which the empirical is unified with the transcendental.” Thus in the ecological view it is the transcendental which is attached to and dependent on the terrestrial. In this geocentric account—in many ways an inversion of Kant’s so-called Copernican Revolution—it is the geological conditions of the Earth that closely entangle, ground, and enable the activity called philosophy. To conclude, then, a philosophical ecology complicates relations between appearance and reality, between ontology and epistemology, and between the empirical and the transcendental. Stated in general terms, philosophical ecology sees an ongoing breakdown between structure and content, between matter and meaning. The phrase “ecological phase space,” which I borrow from the visual artist Jol Thomson, describes this view nicely. Appearance and reality are not fixed domains but are ecologically entangled and reversing territories. Knowing and being are not two separate activities but are deeply linked capacities driven by the concerns, values, and decisions of organisms. Space and time are not fixed containers within which events unfold but are rather emergent features abstracted from the adventures of entities themselves. This means that ecology is not about organisms in environments—surrounded by them, situated by them, and so on—but that ecology is an event much more ambiguous in nature; the possibility space is itself ecological, evolving, and recursive. Reality in this sense has something like an ecological structure, and the cosmos is something like an ecological event. Bell, Vicki. 2012. “Declining Performativity: Butler, Whitehead and Ecologies of Concern.” Theory, Culture & Society 29: 107–123. Chaisson, Eric. 2014. “Big History’s Risk and Challenge,” Expositions, 8.1: 85–96. Latour, Bruno. 2011. Foreword to Thinking With Whitehead: A Free and Wild Creation of Concepts, by Isabelle Stengers, ix–xvi. Cambridge: Harvard University Press. Thompson, Evan. 2007. Mind in Life: Biology, Phenomenology, and the Sciences of Mind. Cambridge: Belknap Press. von Uexküll, Jacob. 2012. A Foray into the Worlds of Animals and Human Minneapolis: University of Minnesota Press. Whitehead, Alfred North. 1973. Adventures of Ideas. New York: The Free Press. Eric Chaisson, “Big History’s Risk and Challenge,” Expositions, 8.1(2014): 90–91. Alva Noë, Varieties of Presence, (Cambridge: Harvard University Press, 2012), 45. In a sense Noë’s account is a reversal of von Uexküll’s approach to ethology. If Noë takes conceptual understanding as basic to nonhuman bodies and thinks this capacity upward into human cognitive ability, von Uexküll does the opposite: He takes the human cognitive ability to organize experience and thinks it downward into the animal body. Von Uexküll’s aim is first to consider the role played by the biological body in the subject’s organizing capacity and then to extend this organizing power to all organisms. By emphasizing the organizing role of bodies, von Uexküll suggests that the forms of experience are species-specific, constituting a diversity of modes of possible experience that render space, time, motion, and meaning relative to each organism, and where the appearance of each are related to an organism’s organization as a dynamic and living body. Jacob von Uexküll, A Foray into the Worlds of Animals and Humans (Minneapolis: University of Minnesota Press, 2010), 146. Mind is life, as Evan Thompson might say. Mind in Life: Biology, Phenomenology, and the Sciences of Mind (Cambridge: Belknap Press, 2007). Whitehead charts an interesting if less-traveled path among twentieth century philosophers. Rather than follow the Kantian route of critical philosophy, which shapes its questions in terms of securing a priori conditions of human knowledge, Whitehead instead pursues the ontological conditions necessary for the emergence, transformation, and perishing of beings, both human and beyond. Rejecting a bifurcation of nature between representing subjects and represented objects, Whitehead opens up an aesthetic approach to causality that avoids the bifurcating gesture, and makes important contributions to thinking about ecology and evolution. For Whitehead, philosophers must consider a priori categories and concepts, posited by Kant as active organizers of experience in the transcendental ego, as themselves layered and folded into the historical and ecological processes that give rise to their subjective forms. Alfred North Whitehead, Adventures of Ideas (New York: The Free Press 1973), 212. Bruno Latour, foreword to Thinking With Whitehead: A Free and Wild Creation of Concepts, by Isabelle Stengers (Cambridge: Harvard University Press 2011), 3. Vicki Bell, “Declining Performativity: Butler, Whitehead and Ecologies of Concern,” Theory, Culture & Society 29(2012): 107–123. Cf. Karen Barad’s Meeting the Universe Halfway (Durham: Duke University Press, 2007). Sloterdijk, In the World Interior of Capital (Malden, MA: Polity Press 2013), 10. Jol Thomson, email message to author, July 7, 2014. When I read this it makes me think of Andrew Pickering’s The Mangle of Practice… both books. I like that you brought in Peter Sloterdijk as well. Been reading the first book in his trilogy as well as the In the World Interior of Capitol. As usual, I’m behind on my ‘dmf reading list.’ I’ll make my way over to Pickering soon enough, though. heh no rush (or necessity) to anything dmf related, AP doesn’t do much directly with semiotics in ways that you might but not sure how much difference that would make in terms of how one might employ such approaches. if you are not yet reading Adam Robbert’s work this is a good intro to a process thinker who is pushing the boundaries for all of us and not just rehashing the already said. With this essay Adam reminds me that he’s doing the work I so desperately want to see in the world. A fantastic piece. A really interesting paper that ties together lots of useful stuff! I’ve not read anything by Noë, I’ll have to investigate. One question that may seem a bit confrontational but is meant sincerely(!! ): did the panel get round to discussing any actual historians? I know that this panel was on the philosophical side of this Big History thing but it’s remarkable that none of the abstracts mentioned even Braudel. Also: McNeill, Toynbee, Lefebvre; then there’s all the universalist geographers from Humboldt onwards. These were high, uber modernists. They didn’t do ‘Big History’ but they did ‘Universal History,’ which seems to be pretty much the same thing, looking at the other panels. The bifurcation of nature hardly confined historians (or geographers) to human-side phenomena. On the contrary there’s a long intellectual history of geographical determinism, which is the perennial problem of dualist thinking — if you have impersonal, naturalised causality then there’s always got to be a little residual humanism sticking out there to stop us all despairing too much. That seems to be the really crucial question with regard to ‘Big History’: are they doing anything new in this respect? To my knowledge none of the Big Historians draw from any of the thinkers you mention. In fact, there seems to be a tacit antipathy to anything that doesn’t come from the natural sciences (and even here the emphasis is more on a synthesis of hand-picked facts with the aim of producing a story than it is about engaging the controversies of naturalism). I could be wrong, though, since I don’t actually know about Big History’s various threads and influences. In a way I had the same reaction as you (but with my own idiosyncratic influences): How can you talk about something like ‘Big History’ without mentioning Whitehead, Latour, Stengers, etc. From what I did gather, two of the main historians of Big History are David Christian and Cynthia Brown—quite different from the lineages you mention above. Ah okay, fair enough. I must admit that this is the first I’ve heard of ‘Big History.’ To my mind there’s a common element to both this and the other historians I mention; there’s an element (from what little I’ve read) of ‘phwoar, look how big my history is! !’ — as though anything less than a complete story of absolutely everything is for losers or quitters; anything less than universality is parochial and arbitrary. It reminds me of the start of the film Adaptation where the author can’t decide on how to begin his story and ends up back at the start of life itself (as though one needs a ‘real’ beginning).